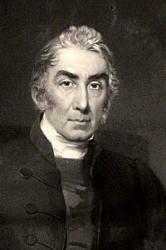 Milman, Henry Hart, D.D., the youngest son of Sir Francis Milman (who received his Baronetage as an eminent Court physician), was born Feb. 10th, 1791, and educated at Dr. Burney's at Greenwich, and subsequently at Eton. His career at B. N. C. Oxford, was brilliant. He took a first class in classics, and carried off the Newdigate, Latin Verse, Latin Essay, and English Essay. His Newdigate on the Apollo Belvedere, 1812, is styled by Dean Stanley "the most perfect of Oxford prize poems." His literary career for several years promised to be poetical. His tragedy Fazio was played at Covent Garden, Miss O'Neill acting Bianca. Samor was written in the year of his appointment to St. Mary's, Reading (1817); The Fall of Jerusalem (1820); Belshazzar and The Martyr of Antioch (1822), and Anne Boleyn, gained a brilliant reception from the reviewers and the public. He was appointed Poetry Professor at Oxford in 1821, and was succeeded ten years after by Keble. It must have been before 1823, the date of Heber's consecration to Calcutta, that the 13 hymns he contributed to Heber's Hymns were composed. But his poetry was only the prelude to his larger work. The Bampton Lectures (1827) mark his transition to theological study, and the future direction of it was permanently fixed by his History of the Jews (1829). This book raised a storm of obloquy. It was denounced from the University pulpit, and in the British Critic. "It was the first decisive inroad of German theology into England, the first palpable indication that the Bible could be studied like another book, that the characters and events of the sacred history could be treated at once critically and reverently" (Dean Stanley). In 1835 he was presented by Sir Robert Peel to a Canonry at Westminster and the Rectory of St. Margaret's. In 1839 appeared his valuable edition of Gibbon's Decline and Fall; and in 1840 his History of Christianity to the Abolition of Paganism in the Roman Empire. Among his minor works in a different field were his Life of Keats and his edition and Life of Horace. It was not till 1854 that his greatest work—-for "vast and varied learning, indefatigable industry, calm impartiality, and subtle and acute criticism, among the most memorable in our language" (Quart Rev. )—-Latin Christianity—-appeared. He had been appointed Dean of St. Paul's in 1849. The great services under the dome originated in his tenure of the Deanery. His latest work, published after his death, Sept. 24, 1868, was The Annals of St. Paul’s. Though one of the most illustrious in the school of English liberal theology, he had no sympathy with the extreme speculations of Germany. The "criticism" of Tübingen "will rarely bear criticism." He "should like an Ewald to criticise Ewald." "Christianity will survive the criticism of Dr. Strauss," and the "bright flashing artillery" of Rénan. His historical style has been compared to Gibbon in its use of epigram and antithesis. His narrative is full of rapidity of movement. His long complex paragraphs have often a splendour of imagination as well as wealth of thought. All the varied powers of his mind found vent in his conversation; he was called, after his death, "the last of the great converters." The catalogue of his friends from the days of Heber, "his early friend," to those of Hallam, Macaulay, and Dean Stanley, was long and distinguished.